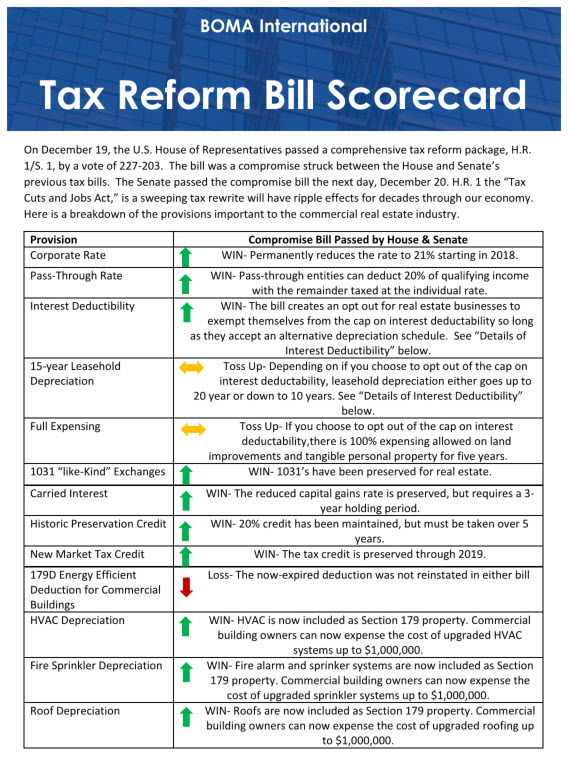 On December 19, the U.S. House of Representatives passed a comprehensive tax reform package, H.R. Cuts and Jobs Act,” is a sweeping tax rewrite will have ripple effects for decades through our economy. 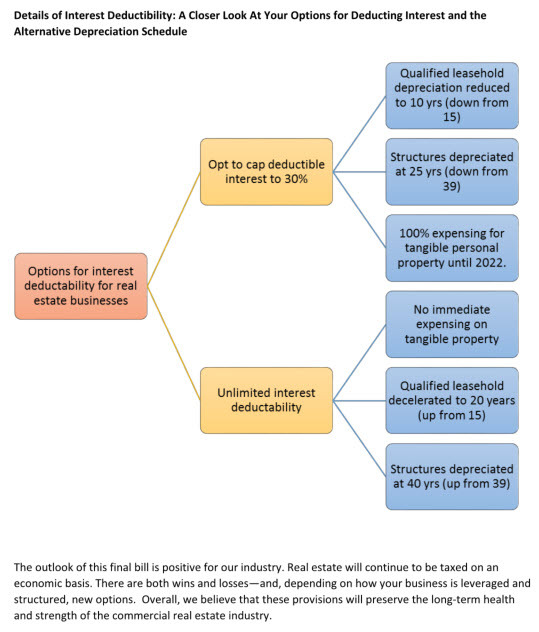 Here is a breakdown of the provisions important to the commercial real estate industry.